There are women at Fox News who want to speak up. But they're afraid. They've seen other women stand up for themselves -- against former Fox News chief Roger Ailes, against host Bill O'Reilly -- and lose their jobs as a result. Meanwhile, they've seen those men defended and handsomely compensated by the company. They've been told there is an anonymous hotline they can call. But they're afraid to call it because of a belief that the company is monitoring their phones. For many female employees at Fox News these days, the mood is one of fear and disappointment, several current and former employees told CNNMoney. The revelation that Fox renewed its contract with O'Reilly -- even after he, the company, and parent corporation together or separately paid a total of $13 million in settlements to five women who accused him of sexual harassment or verbal abuse -- dealt a crushing blow to employees' faith in the company's claim that it had zero tolerance for sexual harassment. The revelation was especially hard for younger female employees who fear they are working in an archaic, Mad Men-era work environment and have no leverage against powerful on-air talents like O'Reilly, the sources said. "Who else is suffering in silence?" one Fox News employee asked. Employees are particularly irked by the company's defense of O'Reilly because he is widely disliked within the network. The accusations against O'Reilly detailed in the recent New York Times report include descriptions of what sources described as volatile behavior -- from his allegedly berating a young producer in 2002 to his allegedly becoming hostile with one woman who rebuffed his advances in 2013. But there is also hope: Some staff believe the ongoing federal investigation into Fox News -- which centers on whether 21st Century Fox misled investors by hiding payments to Ailes' accusers -- may force the company to take greater steps to combat sexual harassment and inappropriate behavior. When news broke last week that prosecutors had offered immunity to the network's former chief financial officer in exchange for his cooperation with the investigation, it hit like a bomb, sources said. There was a sense that sexual harassment allegations may have greater ramifications for the company than the reported $40-million payout it gave Ailes when he stepped down last July. Back then, Fox said it had no tolerance for behavior that "disrespects women or contributes to an uncomfortable work environment." But the sources said Rupert Murdoch, the executive co-chairman of 21st Century Fox and acting CEO of Fox News, takes a hands-off approach when it comes to problems inside his media empire -- at least so long as people involved are making money for the company. 21st Century Fox released a statement Saturday in which it said it "takes matters of workplace behavior very seriously" and stood behind O'Reilly's denial of the merits of the claims. On Monday, it did not comment on the sources' portrayal of the company or its leadership. 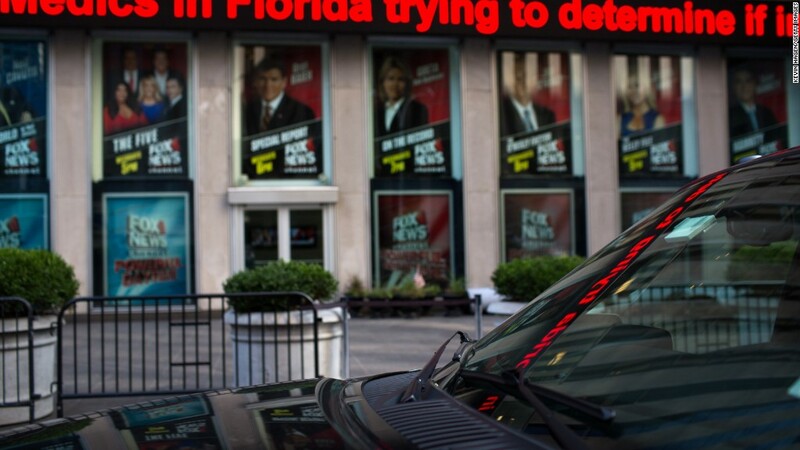 Fox News did not respond to an email summarizing the sources' claims. For many female employees, the message is clear: Influential hosts like O'Reilly have all the leverage. Sources said they once believed Ailes' departure would bring about change at the network, and that Murdoch's sons James and Lachlan would take a harder line against inappropriate behavior by male employees. They were hopeful when the company launched an independent investigation and made a public apology to Gretchen Carlson, the former anchor whose accusations of sexual harassment against Ailes opened the floodgates for other accusers. On Monday, the network's head of human resources sent an email to staff to "re-emphasize" that any employee who has concerns with workplace behavior should raise those concerns with him, the company's general counsel, the company's chief compliance officer, or directly with the law firm that conducted the investigation. But the sources who spoke with CNNMoney said they are no longer certain the Murdochs intend to enforce change when it involves someone as valuable to the company as O'Reilly. Fox News has no obvious candidates to replace O'Reilly in the 8 p.m. hour, and it is not clear that anyone at the network could draw the same audience he does. Meanwhile, Fox News is growing vulnerable. For the last three weeks, even before the Times' revelations, MSNBC's Rachel Maddow had outperformed O'Reilly in the 25-54 year-old demographic, a stunning and historic upset. And on Monday, Mercedes-Benz announced that it was pulling its advertising from O'Reilly's show because of what it called the "disturbing" allegations against the host. Lisa Bloom, an attorney for one of the women who accused O'Reilly of sexual harassment, has also called for an independent investigation into the network. "Fox News has a very tired tattered playbook, and that is attack, attack, attack, especially against women who speak out against their moneymakers," Bloom said at a press conference Monday. "No company in America has the right to drive out women who complain... That includes Fox News."